The twice a year dental exam recommendation is not simply a ploy for dentists to make more money. These exams are a way for your dental care provider to help you to keep up on oral health issues, perform necessary treatments, and give appropriate individual recommendations on how to better care for your teeth and gums. These necessary exams can protect your teeth, your wallet, and your health. Dental exams protect the health of your teeth and gums. Tooth decay and gum disease can be treated before tooth loss occurs along with the potential damage that may go beyond the teeth and into the jaw bone. A professional dental cleaning can remove plaque and tartar buildup, even in areas you cannot reach at home. Regular dental exams save your wallet from costly dental treatments. An exam cost just a fraction of more extensive procedures, such as root canals, crowns, and artificial teeth replacements, especially the preferred dental implants. Dental exams can save your overall health, as well. Regular exams and cleanings can spot cancer and other health issues in time for early treatment and better prognosis. Gum disease can be treated before it leads to extensive infections and abscesses, which can lead to cardiovascular problems and other health issues. 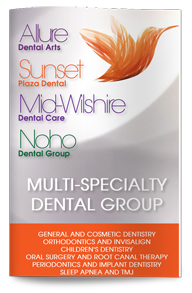 If you are due, or overdue, for your dental exam, be sure to come in and see our West Hollywood dentist for your professional cleaning and exam. Your mouth will thank you for it.